Henry's Attic provides fascinating documentation of some of the one million artifacts in the Henry Ford Museum and Greenfield Village. The items represent both Henry Ford's passion for collecting Americana and the astonishing array of gifts—some of great historic value and others of a distinctly homegrown variety—that account for almost half of the museum's collections. It was the quantity of these gifts and the unusual and even unique nature of many of them that provided the inspiration for this book. Henry Ford Museum and Greenfield Village, which Ford established in Dearborn, Michigan in the late 1920s, was intended to recreate the slow-paced, rural character of America before the advent of the automobile. The purchases he made and the gifts he was given reflect his desire to document and preserve the lifeways of common people and to emphasize middle-class rural history, as represented by the tools of agriculture, industry, and transportation. Ford R. Bryan was a historical researcher at the Henry Ford Museum & Greenfield Village Research Center. He was educated at Eastern Michigan University and the University of Michigan, and was a Ford Motor Company employee for more than thirty years. 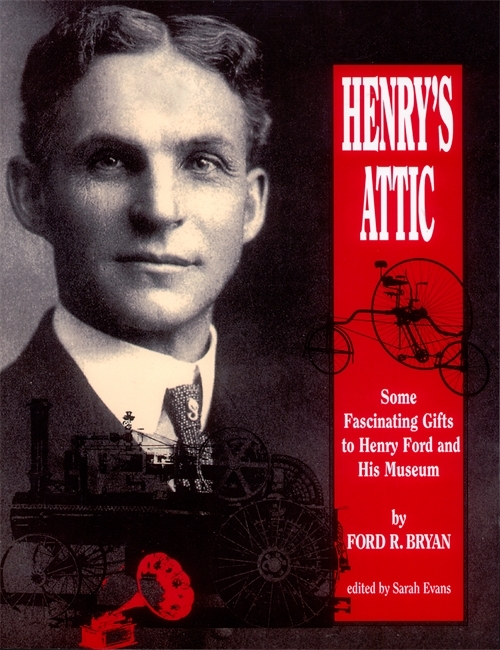 He is the author of Henry's Attic: Some Fascinating Gifts to Henry Ford and His Museum (1995), Henry's Lieutenants (1993), and The Fords of Dearborn: An Illustrated History (1989).